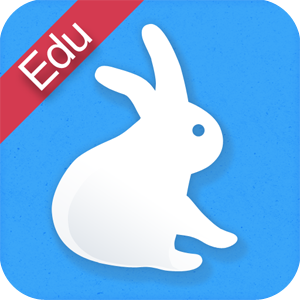 I'm here to bring you another amazing app to use in your classroom today! I actually stumbled upon this app by mistake. I was searching for a puppet app to use and this popped up. 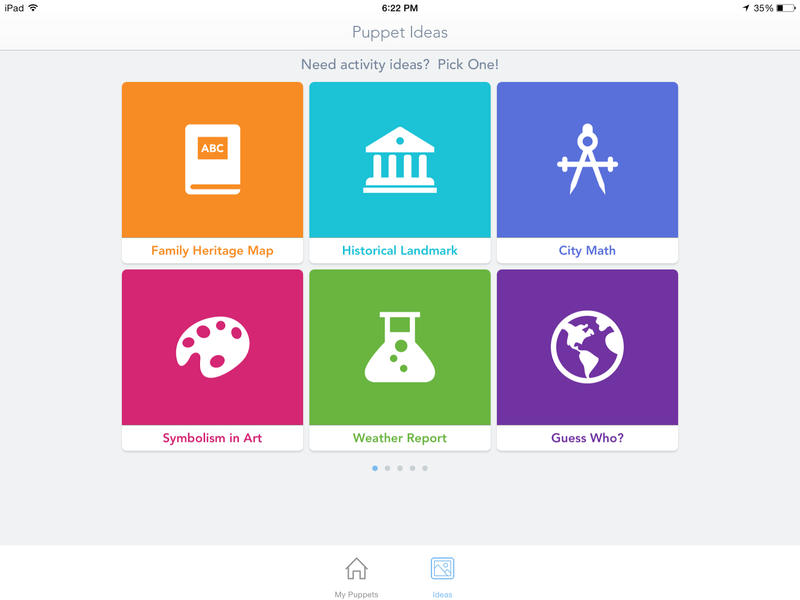 It is not a puppet app, but no worries - it's even better! I think the name comes from the fact that it is a digital storytelling app. I like to think of this app as a new way to create slideshows. Think PowerPoint, but much simpler and quicker and using voice to narrate it instead of being text intensive. Students use images (their own or from the web) to create slideshows that they narrate to tell a story. What are some ways it could be used? Due to the simplicity of this app, it could be used in SO many ways. Here are a few ideas. Take pictures of students' original published books and let them read them! Have students take pictures of shapes in the real world and explain them. Let students solve the same math problem in different ways and explain. Take pictures of STEM projects and let students narrate their thought process during the stages. Take pictures of weather/clouds for students to tell what they know. Let students locate pictures of famous places, landmarks, or people in history to narrate a tour of a particular city/state. 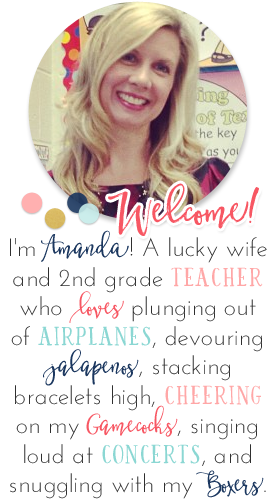 Students can create slideshows of pictures that represent themselves as introductions at the beginning of the school year. It really is SO easy! My 2nd graders picked it all up on day ONE! This is what the app looks like when you open it. It shows any existing slideshows and has the "create new" slideshow button. Simply click that button to begin. 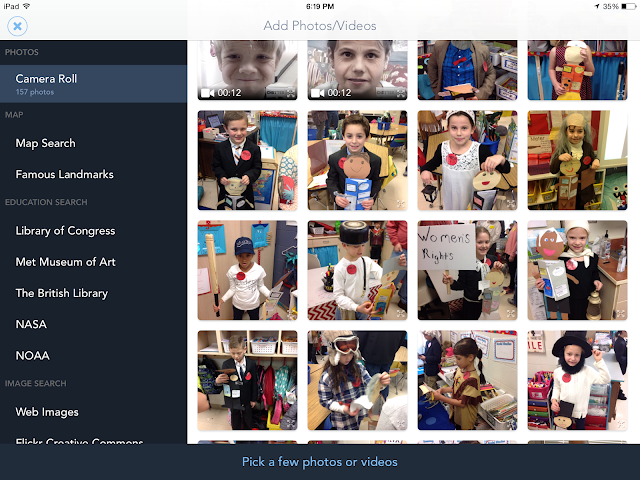 The app defaults to your camera roll, so you can see lots of pictures of my students showing. If students were using pictures that they had taken, they would select them here. If they want to find images from an outer source, they would simply select that source on the left. I usually have my students search the sites under "IMAGE SEARCH." Once an image is selected, students can simply type a new search word to add more images. Once all images are inserted, they will click the "next" button at the bottom. Then, the first image in the slideshow will appear. 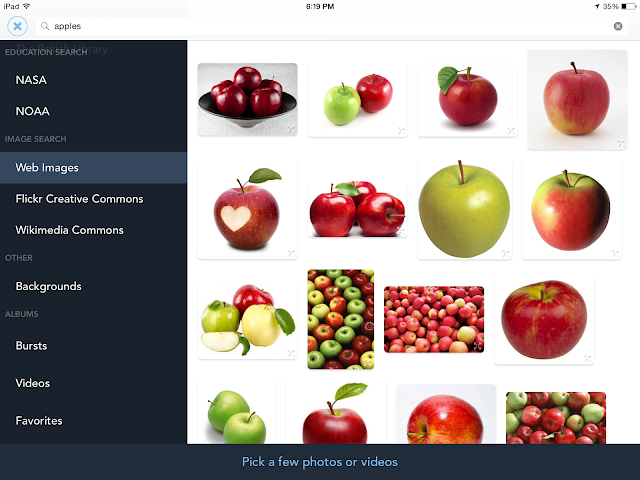 At this point, students can name their slideshow by clicking the little pencil above the image. They can also use the T button to the right to add text to the picture, or the music note button to add music to their slideshow. 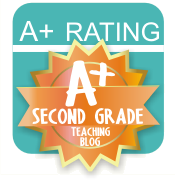 Students can use the top right menu button to add pages, reorder pages, or delete pages. They can also go here to "save draft" at any point if they need to leave the project and come back to it later. Or, they have the option to delete the project altogether. 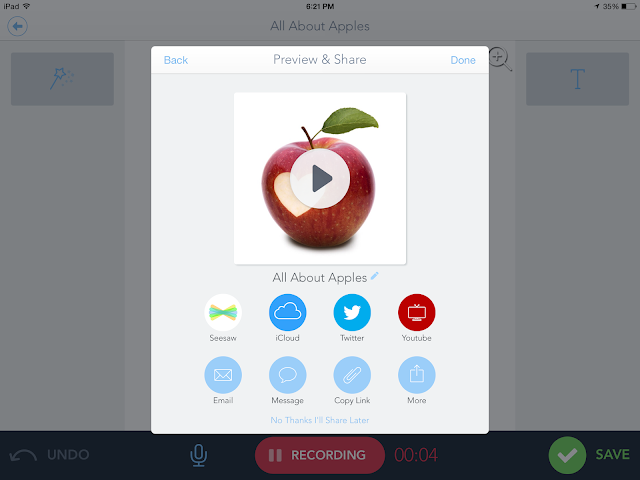 If they are ready to narrate their project, they simply click the START button at the bottom. After narrating all of their slides, students will click the SAVE button. This automatically saves the slideshow in the app. If students mess up while recording one of the slides, they can simply click UNDO on the left. This will only delete the narration of this single slide. After saving the project, a Preview/Save pop-up will appear. Students can click on the slideshow to preview it. They also have the option to save it to other places - don't worry, a "grownups only" pop-up appears on many of these choices! 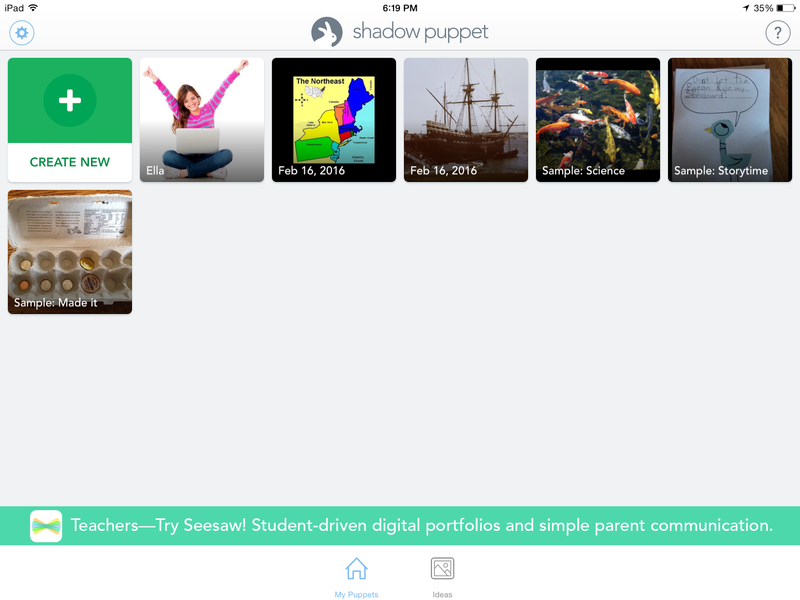 But, if you use the SeeSaw Digital Portfolio app, you will love this! Your students can save their projects directly into their portfolios!!!! Need even more ideas? 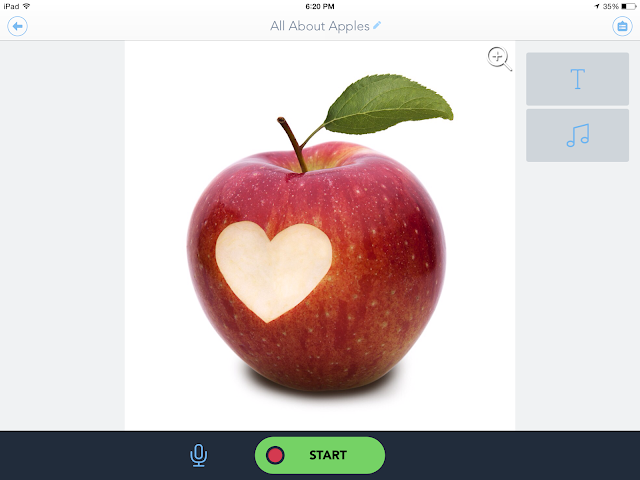 The app has pages and pages of ideas for classroom use! I've found that students are much more successful if they have a plan before creating and narrating their shows. 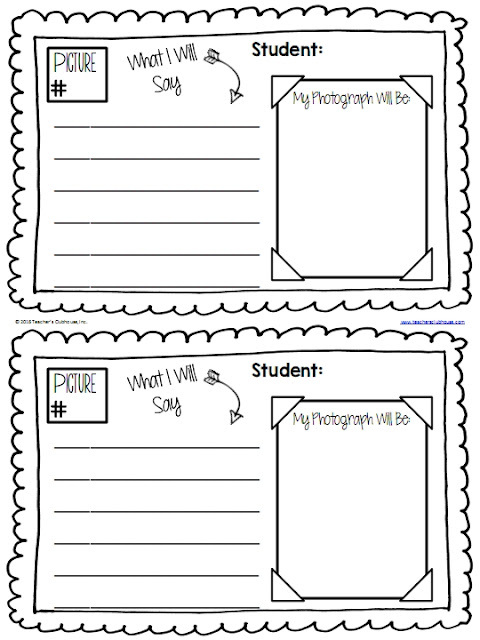 Therefore, I created these simple planning pages for my students to use. They write what they're going to say and write/draw what they are going to use as a picture/photo. You can download this planning page below to use with your students. So, what are you waiting for? 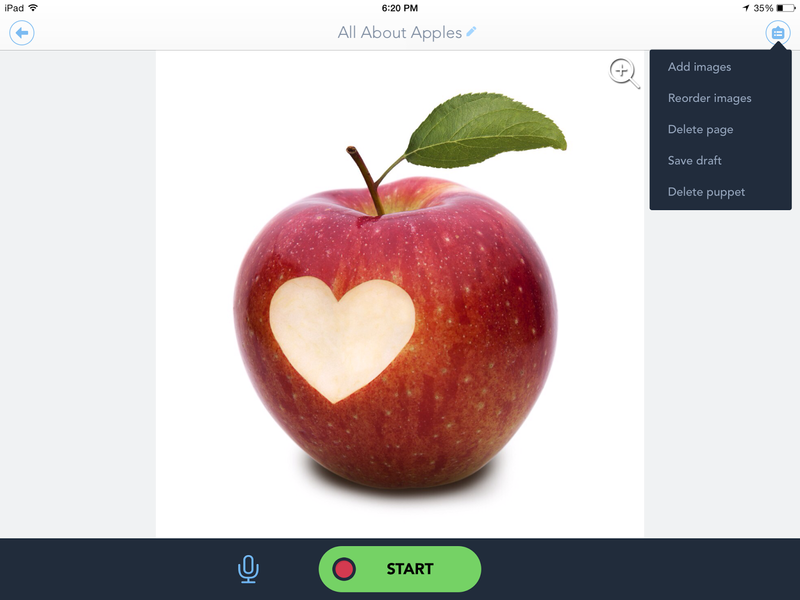 Go download this FREE app and let your students start creating! 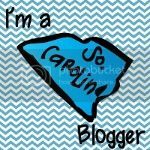 Thanks for sharing these great apps! 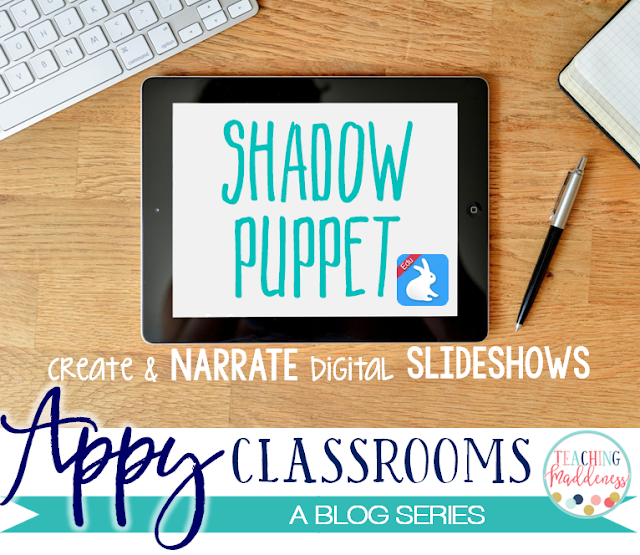 I think I will try making a Shadow Puppet today! Just wanted to follow up- I emailed the shadow puppet people and they said they had to remove the web image search because it was powered by Yahoo and they did not want Shadow Puppet to use their images anymore... Ummm yahoo it's for education...! Anyway thought I would update!